Ah, hello. If you’ve been listening in to the 200% podcast, you’ll probably be aware that we plough a somewhat lonely furrow. We don’t particularly encourage a great deal of feedback or interaction, largely because we can’t read. 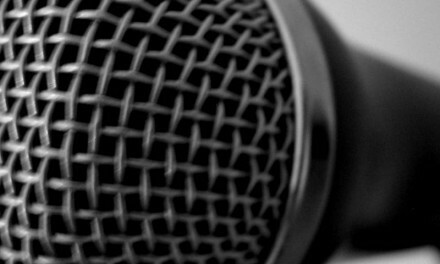 However, a future podcast project idea has come up and I thought it might be an idea to REACH OUT and OPEN UP to you all. This is, in the main, because I can’t possibly be tasked with making this decision myself, although I would also stress that democracy is a good thing and you should definitely register to vote if you have not already done so. Excellent. Now that you have done that, here’s our idea. 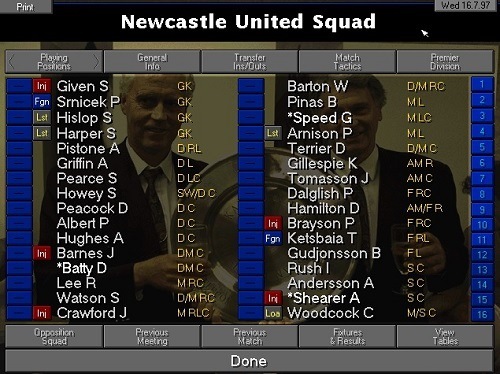 In a few weeks time, Ian and I will be playing one season of Championship Manager 1997/98 each and then reporting back. That reportage will form the basis of a podcast which will one day, no doubt, win us all sorts of awards. As long as they do awards in prison. What we need from you is a decision about which team we will both manage. A few things to bear in mind first: we will both be managing the same team for our game, so that a direct comparison will be possible and, should we wish to, our research can be submitted to the Royal Society. Secondly, as such a direct comparison will be possible, this is a competitive situation and as such things can tend to get a little fractious between us. We are neither particularly competitive people. But my desire to beat Ian at Things That Don’t Matter Ultimately has, over time, given birth to a similar desire within him to vanquish me. 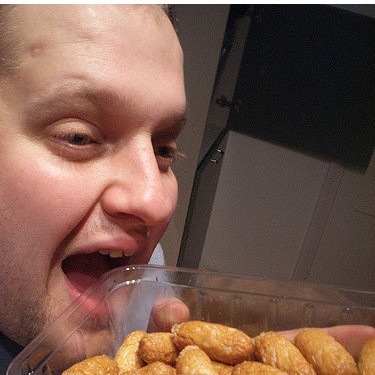 THIS I CANNOT ALLOW TO HAP… no, wait, where was I? Anyway, I’ve picked out five key stories from the 1997/98 football season, giving us five choices of team to play. 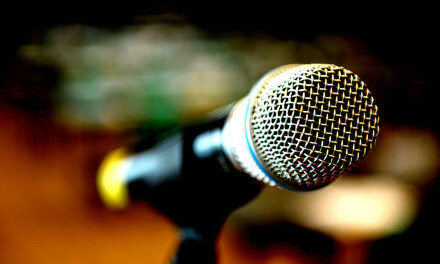 Add a comment to this post or drop us a message on our Twitters (@twoht/@dotmund) if you would like to have your say. And don’t forget to call us a pair of idiots. No, actually, don’t do that. We’re doing our best here. Please do vote, because there really is very little chance of either of us making a firm decision without you. We are idiots. 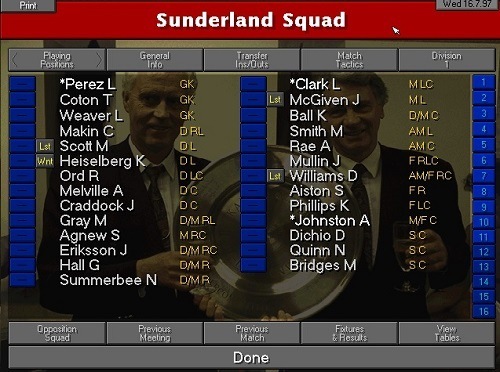 In the 1996/97 season, Sunderland were relegated from the Premier League in 18th place along with Middlesbrough and Nottingham Forest. Twelve months later, those three clubs finished 1st, 2nd and 3rd in the First Division. Alas, 3rd place doesn’t guarantee promotion and Sunderland had to go through the play-offs. Following a pulsating 4-4 draw at Wembley (proper Wembley, mind you), they lost 7-6 on penalties to Charlton Athletic, who had finished 4th in the table. Our goal: go one better and get Sunderland promoted straight back up to the top flight. Howay! The mid-to-late 1990s were tumultuous times for Newcastle. Two seasons before they had narrowly missed out on a first English League Championship title since dinosaurs ruled the earth and in 1996/97 they had finished as runners-up to Manchester United again. Perhaps distracted by their Champion’s League campaign or hobbled by the loss of Les Ferdinand and David Ginola to Tottenham Hotspur, Newcastle could do no better than 13th in the league in 1997/98, although they did reach the FA Cup final, losing to double winners Arsenal. Our goal: maintain Newcastle’s drive for success by continuing to challenge on all fronts. Can the Toon go one better? Can they get past the Champion’s League group stage? And can John Barnes and Ian Rush reignite old glories now that they are both 46 years old? Before anyone in Moss Side had even heard of Dubai or seen a camel, Manchester City were a British institution. A commitment to a way of doing things which has rarely ever been matched. In the 1997/98 season, they successfully contrived to drop like a stone and get relegated to the third tier of English football for the first time. Our goal: in finishing no lower than 21st in Division One, we can yet spare Manchester City from their fate of totally Manchester Citying everything up. 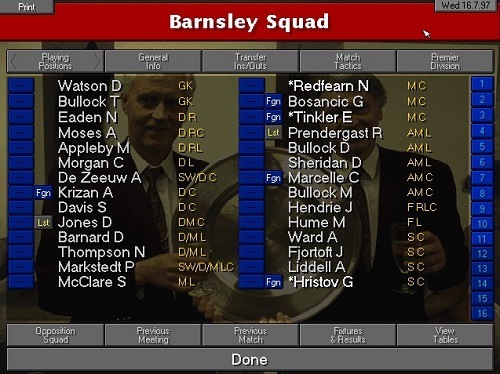 Promoted to the top flight of English football for the first time in their history the season before, Barnsley’s sole season at the top was a salutary lesson in the encroaching darkness that awaited Premier League football in the 21st Century. Along with the other promoted clubs, Bolton Wanderers and Crystal Palace, they went straight back down. However, unlike their unfortunate companions, Barnsley are yet to return. Our goal: 17th place in the league and the eternal gratitude of Sir Michael Parkinson. What a time it was to be a supporter of Glasgow Rangers. 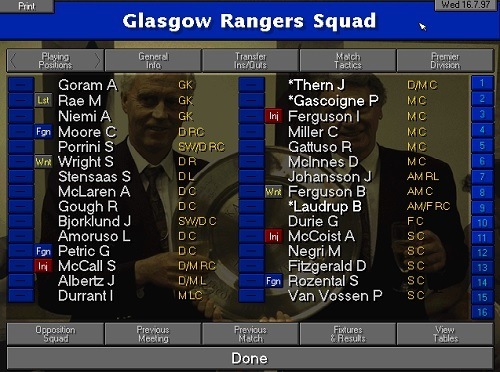 In 1996/97 they had secured their record-equalling ninth successive Scottish League Championship, Gazza was firing on all cylinders and Ally McCoist still had most of his original teeth, hair and knees. However, 1997/98 was a season to forget, beaten to the title by Celtic, under the stewardship of Wim Jansen, for the first time in a decade. Our goal: your objective is clear: win the Scottish Premier Division, beat Celtic’s record of nine in a row, then hoot and stomp with unconfined joy. Voting closes whenever we feel like it. We also reserve the right to disregard all the data and do something else entirely, because this is Cameron’s Britain and them’s the rules. 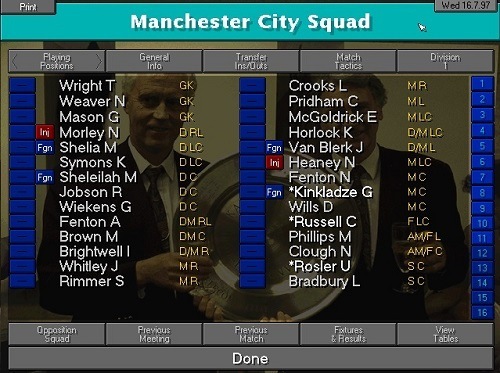 If you would like to read a whole lot more about Championship Manager 97/98, you could do a whole lot worse than to peruse this wonderful blog: CM97/98. If you have completely lost touch with reality and believe it is Wednesday 16th July 1997, you can follow Twohundredpercent on Twitter or LIKE our Facebook page. If you manage Newcastle, always have Steve Harper on the bench, if he complains and demands a move, then it’s all the proof we need that the game is unrealistic!